PaintCare Inc. How Much Paint Do You Really Need? Posted on December 17th, 2015 . If you are not a professional painter, determining how much paint you need for your next paint project can take a bit of guesswork. Sometimes you will end up buying too much, and sometimes you will buy too little. If you want to make sure you buy right, take these tips into consideration and go to the paint store with a plan. To begin, you will want to determine the size of the surface(s) you want to paint. Measure the width and height of each wall. For each wall, multiply the width times the height to get the square footage. When you add up all the square footages together you will get the total. Now measure any windows, doors, or other breaks in the wall and subtract their square footages from your original calculation. This should give you the number of square feet you need to cover. Take that number and divide it by the coverage rate, which can usually be found on your paint can’s label. If you don’t know the coverage rate, use 350 to get a rough estimate. Most coverage rates are between 300-400 square feet per gallon. While these figures are a great start, you will also need to take the following into account. Generally, if the new paint color you are using is similar to the old paint color, you will need fewer coats. However, if you’re changing from a very dark color to a very light color, or vice versa, you may need more coats. The texture of your wall also impacts the amount of paint you may need. Textured walls require more paint than smooth walls because all those bumps mean that a textured surface actually has more surface area than a smooth one. The greater the texture, the more paint you will need. 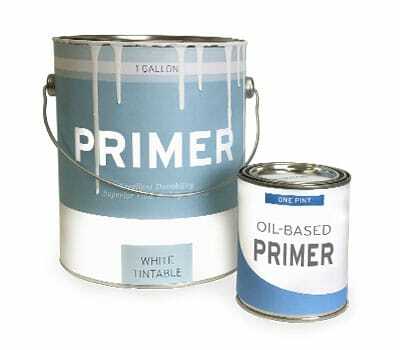 Primer is another factor that can impact the amount of paint you need to buy. New, unprimed drywall, plaster, and bare wood absorb more paint and require more coats than surfaces that have already been primed or painted with a base coat. Besides helping with better adhesion, primer can fill in tiny surface holes. Primer also prevents the top coat from being absorbed and reduces the number of coats needed.. The type of sheen your paint has can also impact the amount of paint you need — as the sheens decrease, your coverage increases. Flat paints require less paint to cover, while semi-gloss and glossy paints require more paint. Generally, a job that takes two coats of flat paint typically takes three (or more) coats of semi-gloss or glossy paint. For a lesson in the different varieties of sheens, take a look at our paint finishes post. With all these considerations in mind, you’ll surely be able to take some of the guesswork out of buying paint for your next project. 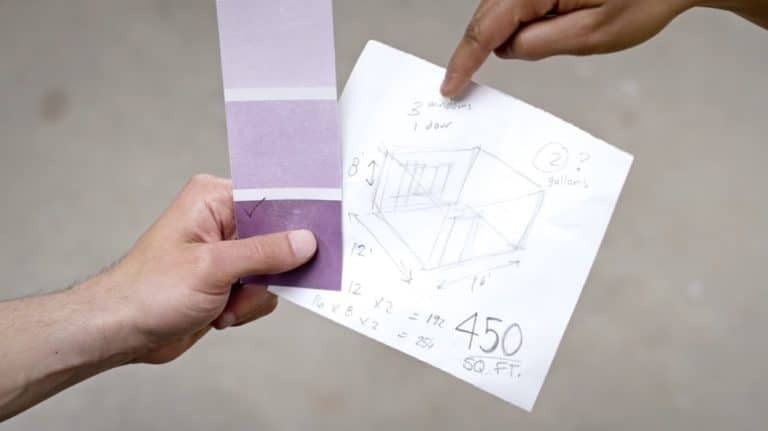 Even so, be sure to bring your measurements with you to the store and mention whether the surface is primed as well as the texture and color change. Ask for advice at your local paint store, where the staff know their products and can help figure out how much paint to buy. If you’d like more tips on how to paint smarter, click here. Be sure to “like” PaintCare on Facebook or follow #recycleyourpaint.